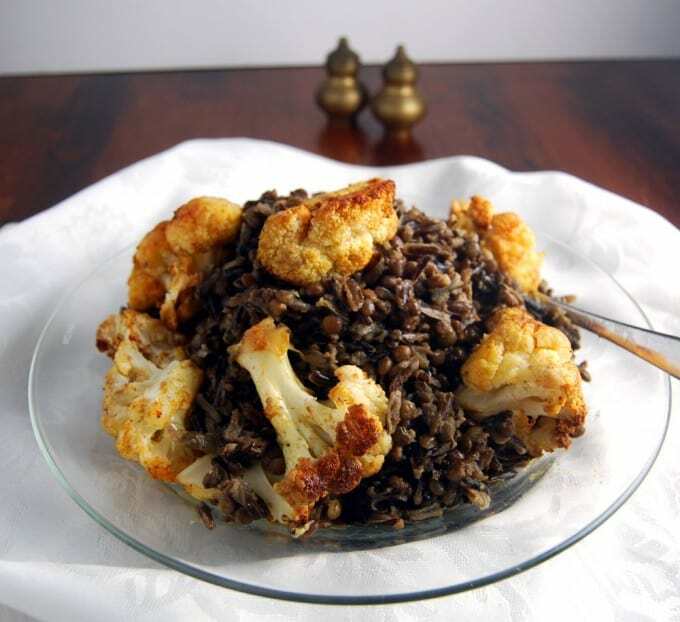 Cauliflower wild rice pilaf with puy lentils is an explosion of flavors, textures, and healthfulness. 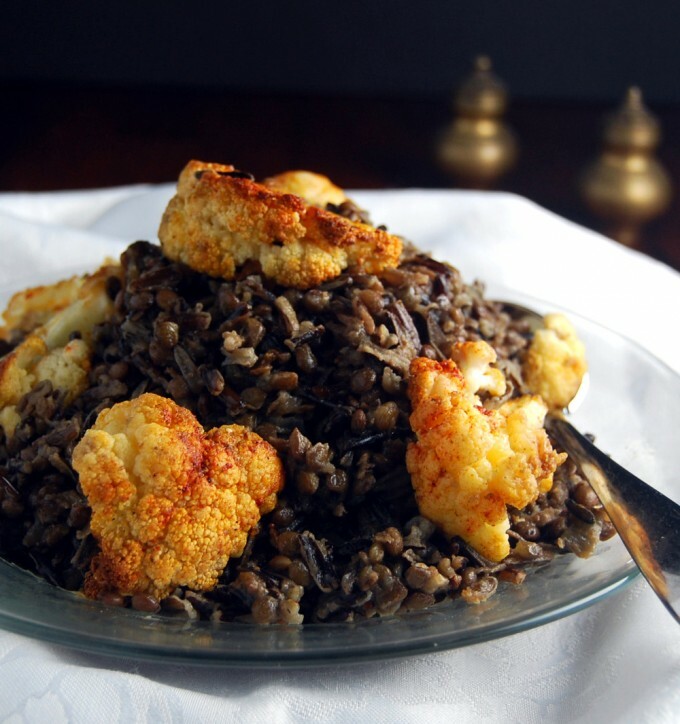 The nutty wild rice is the perfect foil for the creamy lentils and crispy cauliflower florets. 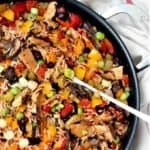 My Cauliflower Wild Rice Pilaf is a healthy and delicious one-pot meal that is quick enough to cook up for family on a weekday night and elegant enough to serve company. It also makes a great brown bag lunch. 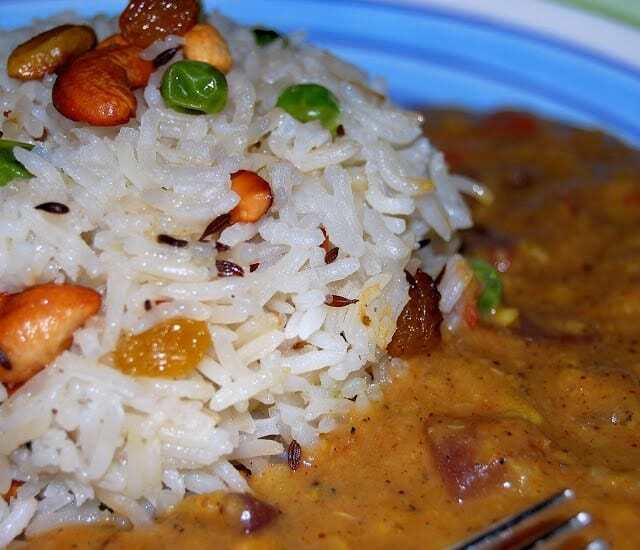 In Indian cooking, a pilaf or pulao is a rather spare rice dish seasoned with a few spices. 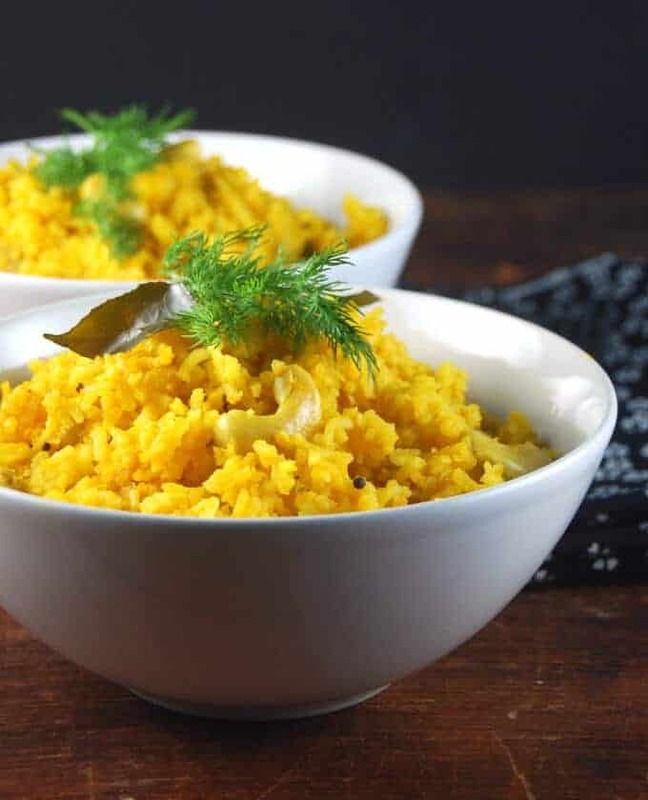 It’s different — and less fussy — than other rice dishes like a biryani, say, where the spices are richer and where the ingredients are separately cooked and then put together. Since I don’t do fussy on weeknights, this worked just perfectly for me. All I needed to do was to chop up some onions and garlic and separate the cauliflower into florets, and the dish pretty much cooked itself. 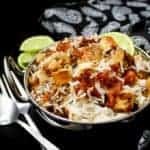 Although pilafs are usually cooked up in one go– meaning that you would add all the ingredients to one pot and cook them together — I did roast the cauliflower separately because if I added the cauliflower to the same pot, it would end up all mushy and not firm and golden and delicious. 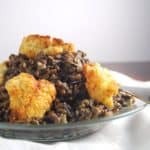 Wild rice is very easily found now, but in case you cannot find it you can try this dish with brown rice as well, or even another grain like quinoa. Be sure to adjust the cook times, because these grains will require less time to cook than the black rice does. Brown rice would need about 45 minutes, no more. Mix all of the roasted cauliflower ingredients together in a baking dish. Preheat the oven to 400 degrees Fahrenheit and roast for 45 minutes or until tender but slightly al dente. To make the pilaf, heat the oil in a large pot and add the onions. Add salt, ground black pepper and sugar and saute, stirring frequently, until the onions soften and then turn golden-brown. Add the garlic, cayenne, ground cumin and salt and saute for a minute. Add the wild rice and puy lentils and mix thoroughly. 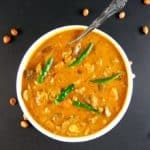 Add the vegetable stock or water, bring it to a boil, cover the pot with a tight-fitting lid, lower the heat to simmer and let it cook for an hour. 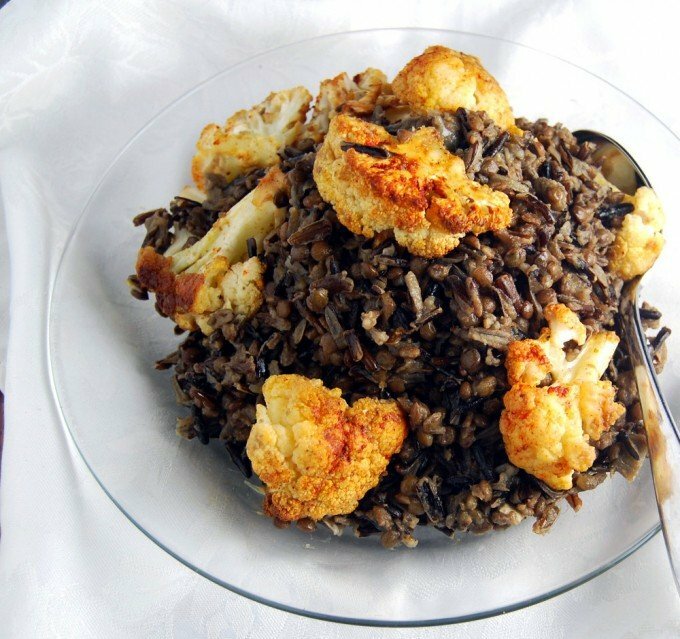 When the rice is done, open the pot, fluff the rice and lentils gently with a fork, and mix in the roasted cauliflower and lemon juice. This sounds great, just put the lid on and leave it to cook itself, i shall definitely be trying this out this week, enjoy your lie in! What an attractive dish- thanks for sharing 🙂 I love a pilaf to accompany cooked veggies etc. and pften use barley just for a change. 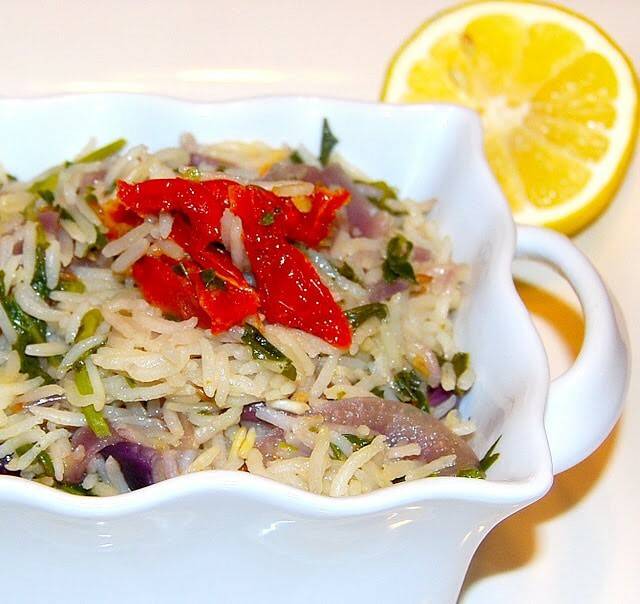 The wild rice looks delish though! Thanks, Sarojinididi. 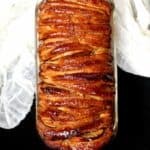 Barley is great in pilafs! Sounds delicious. 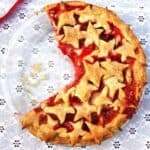 I just started following your blog recently. 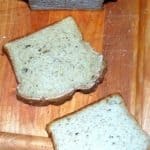 Have already made and certainly enjoyed several of your recipes. Judgement, thanks for your lovely message. So happy you liked the recipes! Just made this tonight and it was delicious. 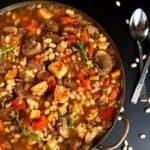 I used chickpea broth with the pilaf which worked great with the flavors. I actually Googled roasted cauliflower and wild rice recipes and found this gem and now have found your blog. 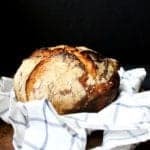 Thank you for sharing and I look forward to exploring more of your recipes. 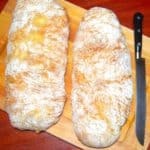 Welcome to the blog, Cristina, and glad you enjoyed the recipe. Thanks for your kind words, and for letting me know! We just completed eating Cauliflower Wild Rice Pilaf….Wow! That is one great dish. 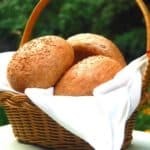 Your recipe is the bomb…but my wife still gets the credit for making me the happiest!